Angle Load Floats are available in 2,3 or 4 horses. All angle load floats come standard with 4 wheel electric brakes with break away brake systems. 2HA come with ATM of 3000kg and both 3 and 4 horse angle load come with ATM 3500kg. 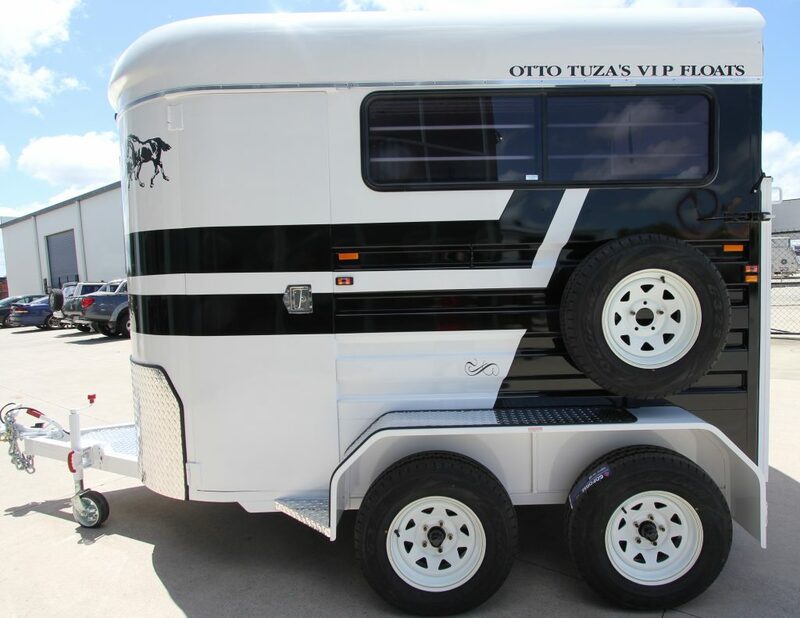 Otto Tuza Angle Load Floats are engineered with perfection giving you the ultimate Horse float in equine transport. With our technology our horse floats deliver effortless balance when towing ensuring that you can tow your new float with confidence. 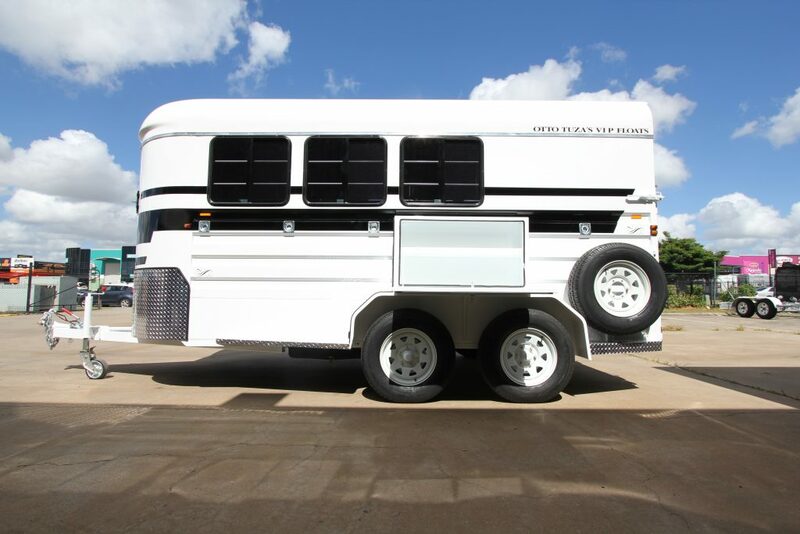 Our Horse floats come standard with our unique cush bar Torsion Independent Rubber Suspension and is widely regarded as the best suspension system for livestock transporting. Our suspension is backed with a 5 year warranty. Follow the link below where you can view our full range of 2 Horse Standard Open Sided Angle loaders through to our Custom Built Styles. 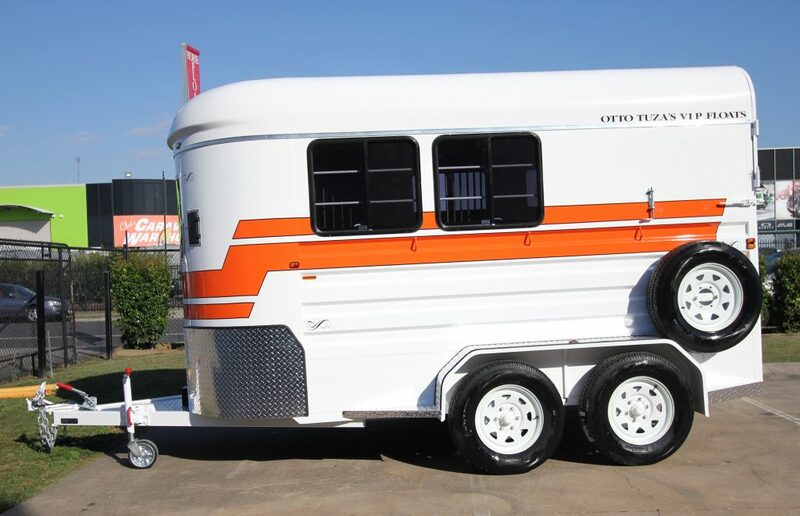 Follow the link below where you can view our full range of 3 Horse Standard Open Sided Angle loaders through to our Custom Built Styles. Follow the link below where you can view our full range of 4 Horse Standard Open Sided Angle loaders through to our Custom Built Styles.